When your neighbors' Campbell garage doors are giving them trouble, their first call is Precision Garage Door Bay Area. Whatever problem you're having with your garage door we're confident that we can fix it and when you use our knowledgeable technicians you can be sure that the job will be done right the first time by a trained professional. Why waste your weekend fiddling with your Campbell garage door opener when we can take care of it for you? Call us to schedule an appointment at 866-949-3722 or stop by our office at 35 Quail Court, Suite 301, Walnut Creek, California, 94596. If your garage door opener is slowing down, excessively loud, or needs some preventative maintenance then we can help. Your garage door opener in Campbell might seem like a simple machine, but if installed or maintained incorrectly you will run into some serious problems. Why risk harming your garage door opener when one of our professionals here at Precision Garage Door Bay Area can get it fixed fast and correctly? The next time you need Campbell garage door service make the right call by calling us. All machines contain parts that will wear and break over time and your garage door is no exception. The springs in your garage door are not repairable and if they show signs of wear it's best to replace them before they break and leave you with an unusable garage door. The springs in your garage door are also under a lot of tension and if removed or replaced improperly could cause injury or damage to your property. That's why when you need garage door spring replacement in Campbell you should always enlist the help of a professional. Your garage door failing isn't worth the risk. 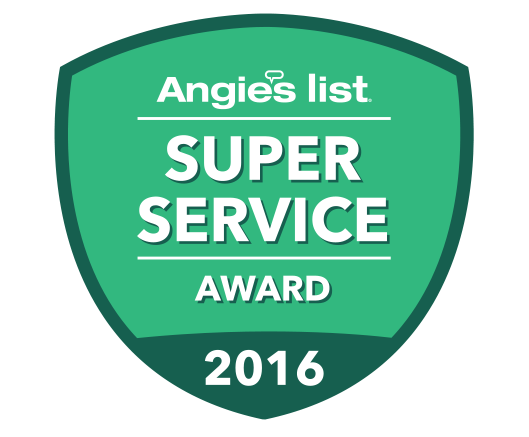 When you use Precision Garage Doors Bay Area, you are guaranteed to receive award-winning service. 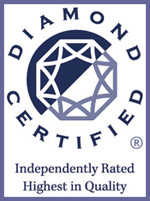 We are the recipients of the Cambell Diamond Certified garage door service award which means that we have proven time and time again that our service is extraordinary. We treat all of our customers with the respect that they deserve and our reputation precedes us. The next time you need garage door repair in Campbell give us a call and experience our world-class service for yourself. Springs, door tracks or garage door cables in Campbell. No matter what you need, we can fix it. We are the Campbell garage door company that your neighbors have relied on again and again and we'll be there for you as well. Don't deal with the inconvenience of a poorly functioning garage door a minute longer than you have to. Give one of our Campbell garage doors experts a call today at 866-949-3722 and we'll have your problem fixed in no time. If your garage door puller is the cause of your troubles we can get it working again fast. All of our Campbell garage doors technicians have years of experience and they can find the cause of your problem fast. Don't spend your whole Saturday fiddling with your garage door puller. Call one of our Campbell garage door experts instead so you can get back to relaxing. We'll take care of the problem for you. Is Your Campbell Garage Door Off Track? We Can Help! If your garage door comes off track stop operating it immediately and call one of our Campbell garage door specialists. An off-track garage door can come off the track completely and fall causing damage to other components of your garage door system. Avoid the stress of further damage by calling one of our Campbell garage door repair technicians and we can get your garage door back to normal. An unpredictable garage door opener is always a chore. Our technicians, however, can troubleshoot and fix garage door remotes any day of the week. We know broken springs, noisy garage door issues and door sagging extremely well. 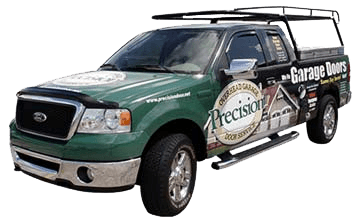 Call Precision Garage Door Bay Area Today When you need any kind of garage door maintenance or repair in Campbell, Precision Garage Door Bay Area is accessible. 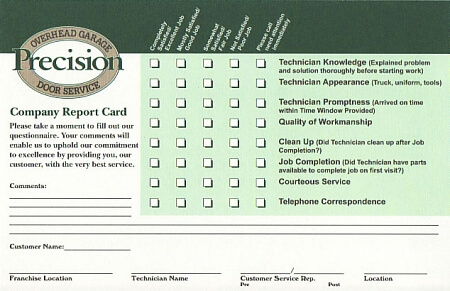 Don't hesitate to call us at 866-949-3722 to make a garage door safety inspection appointment. We have a kind, thoughtful and attentive staff. "Hector worked really hard to fix our garage door. He is a good worker." "The service was great and it was fast. The door was stalling every time I opened it and it was getting quite frustrating. I called on a Saturday morning and they were actually able to get someone over that afternoon to not only look at it, but actually fixed the door while they were there by installing new springs and rollers. The job was completed quickly and expertly. No mess left behind and friendly cordial service. Thanks!" "Matt did a great job installing our new garage door. He is a big, strong man but very nice. Knew what he was doing and did quality work. 4 stars because he was a little late, but would definitely us Precision Garage Door again." "Great Job! If we need anything else, we will call." "Time is money- thanks for quick repair. Less than 2 hours from time I called to completion"
"He had a great recommendation. Took th etiem to give me a good explanation of the work that needed to be done. He was easy to talk to. Would recommend to friends and family." "I came home at 8:15 PM to a broken door. I called Precision and they said they would be there between 9 & 11. They were there before 9, and in 45 minutes had my door better than new. They replaced the coil, reset the door, and even sprayed all the hinges so my door is more quiet. My tech was very professional and very nice. I am so pleased and recommend them without hesitation." "Thanks for you prompt and professional service. Now our garage door is not making that horrible loud clunking sound when it closes."